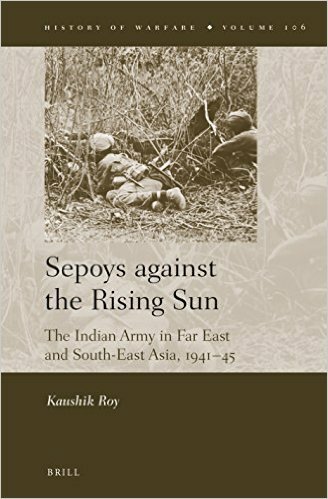 Sepoys Against the Rising Sun: The Indian Army in Far East and South-East Asia, 1941- 45 | Free eBooks Download - EBOOKEE! Guru Nanak Professor Kaushik Roy, "Sepoys Against the Rising Sun: The Indian Army in Far East and South-East Asia, 1941- 45 "
During the Second World War, the Imperial Japanese Army (IJA) suffered one of its greatest defeats in Burma. Both in Malaya and Burma, the bulk of the British Commonwealth forces comprised Indian units. Few people know that by 1944, about 70 percent of the Allied ground personnel in Burma was composed of soldiers of the Indian Army. The Indian Army comprised British-led Indian units, British officered units of the Indian princely states and the British units attached to the Government of India. Based on the archival materials collected from India and the United Kingdom, "Sepoys against the Rising Sun" assesses the combat/military/battlefield effectiveness of the Indian Army against the IJA during World War II. The volume is focussed on the tactical innovations and organizational adaptations which enabled the sepoys to overcome the Japanese in the trying terrain of Burma. No comments for "Sepoys Against the Rising Sun: The Indian Army in Far East and South-East Asia, 1941- 45".